The E460 three phase meter is part of the E460 family of smart prepayment meters and is an advanced three-phase, multi-function, keypad-based, smart prepayment meter. The E460 solution is based on open standards, using G3-PLC OFDM communications between the meter, P160 Customer Interface Unit and the Data Concentrator. The E460 meter may be utilised in an off-line mode as a stand-alone split prepayment meter, or in an on-line mode as part of an end to end AMI smart metering solution. The split metering solution consists of two parts, the E460 meter and the P160 customer interface unit. Communication between the meter and the customer interface unit is by means of G3-PLC Power Line Carrier, using existing household wiring; no additional communication wires are required. The P160 Customer Interface Unit is compact with a user-friendly keypad and display. It may be installed in any convenient location in the consumer’s home where there is an electrical socket outlet. An easily replaceable battery is provided for communicating in the absence of AC mains power e.g. when the meter is out of prepayment credit. 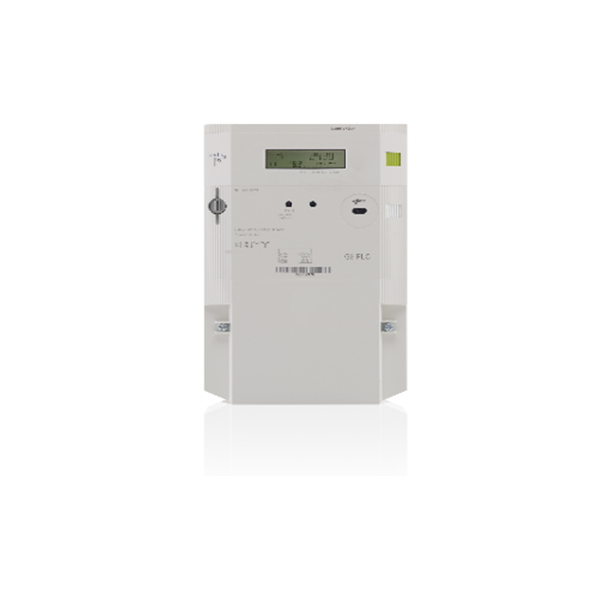 The E460 meter contains all critical metering, token decryption, load control and smart meter functionality. It operates independently and is immune to any form of tampering on the Customer Interface Unit. The E460 3ph meter is typically installed in a secure street kiosk. When used in conjunction with the DC450 G3-PLC Data Concentrator, the meter is able to operate in an on-line mode. The P160 CIU is plugged into an existing mains outlet in the household. Under normal conditions when the supply control switch of the meter is closed and there is power in the house, the Customer Interface Unit operates directly from mains voltage. However, in the event that the meter’s supply control switch opens (e.g. could be due to prepayment credit expiring), the Customer Interface Unit, which is fitted with a battery, will enter a sleep mode to save battery energy. By pressing and holding the “Enter/Power key” on the keypad, the customer is able to power up the P160 Customer Interface Unit using the battery and enable a new prepayment credit token to be entered. If there is no power in the household and the customer interface unit is woken up using the battery, the display will flash on and off, showing the user the last known status of the meter, for example prepayment credit expired. The customer or field technician can additionally view meter parameters by accessing specific register information via the P160 Customer Interface Unit keypad or by scrolling through the available pre-configured registers, by pressing the scroll up and down buttons on the P160 keypad.